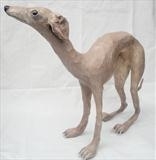 Life size bloodhound inspired by Bruno in "Belleville Rendezvous"
Bruno is a life-size pet needing minimal maintenance. 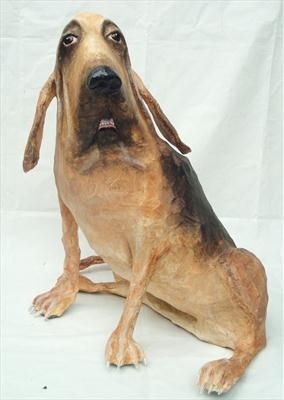 He is inspired by the bloodhound Bruno in the French animation Belleville Rendezvous. He is very proud of his teeth and has a sense of humour and endless patience. The occasional dust with a paint brush is all the grooming he requires.